In a departure from our top five articles, today we note how the restaurant industry is responding to Hurricane Harvey. The experts at Zagat put together this amazing list of restaurants who are helping. According to Dawn Sweeney, President and CEO, National Restaurant Association, the Texas Restaurant Association has been working 24/7 with their members since Hurricane Harvey came ashore. “They’ve been collecting and sharing news about restaurants and are collaborating with federal, state and local agencies to help restaurant operators and their employees get back on their feet, apply for disaster loans, file insurance claims, and safely reopen their locations,” she said. TRA offers extensive information at TXRestaurant.org/Harvey. As the storm moves on from Texas, restaurant associations in other states are preparing as well. Sweeney noted that national foodservice companies and suppliers have come forward with financial help. Independent restaurant operators throughout the country are working with their customers to raise funds. The Louisiana Restaurant Association, all too familiar with devastation of this magnitude, worked with the Commander’s Family of Restaurants and others to set up a relief fund for Harvey-affected hospitality employees. For ongoing information on the efforts, visit Restaurant.org/HarveyHelp. 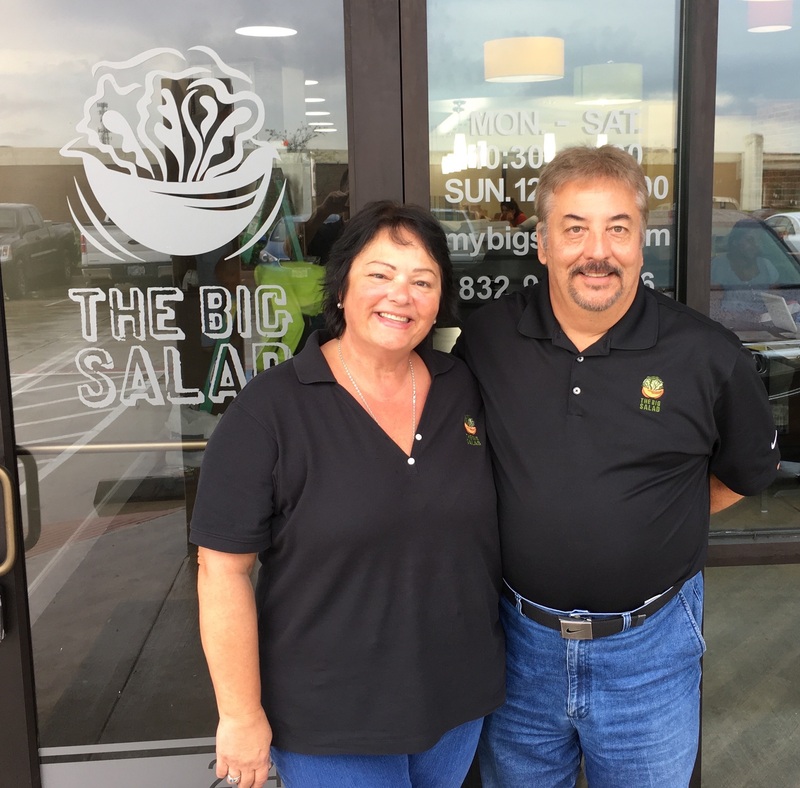 Mauro and Celma Forastieiri owners of The Big Salad in Richmond, in response to the widespread devastation and suffering in their community as a result of Hurricane Harvey, will serve free meals from their location(20400 Southwest Fwy, Richmond, TX) on Tuesday, Sept. 5, from 10:30 a.m. until 8 p.m. The store will collect donations for Hurricane Harvey Disaster Relief provided by the American Red Cross, however, no donation is required to enjoy a salad, sandwich or soup at The Big Salad. The Big Salad CEO/Founder John Bornoty is hopeful he’ll be able to find a flight from Detroit, Michigan, to be at the store on Tuesday and dine with locals in attendance. “Mauro and Celma are exactly the kind of owners we want in our franchise family and this is exactly the type of event we want our owners orchestrating,” Bornoty said. “Richmond was our first restaurant outside the state of Michigan. We love being here. We love the people and we are grateful for the chance to show the love on Tuesday. Prairie Grass Cafe (601 Skokie Blvd., Northbrook, IL is aiding the Houston relief and recovery efforts. On September 1 the Chicago North Shore restaurant will extend their help through a slice of pie. From 5 p.m. to 9:30 p.m., all proceeds from sales of the Raspberry Cream Pie ($7.50) will be donated to the Houston Food Bank. 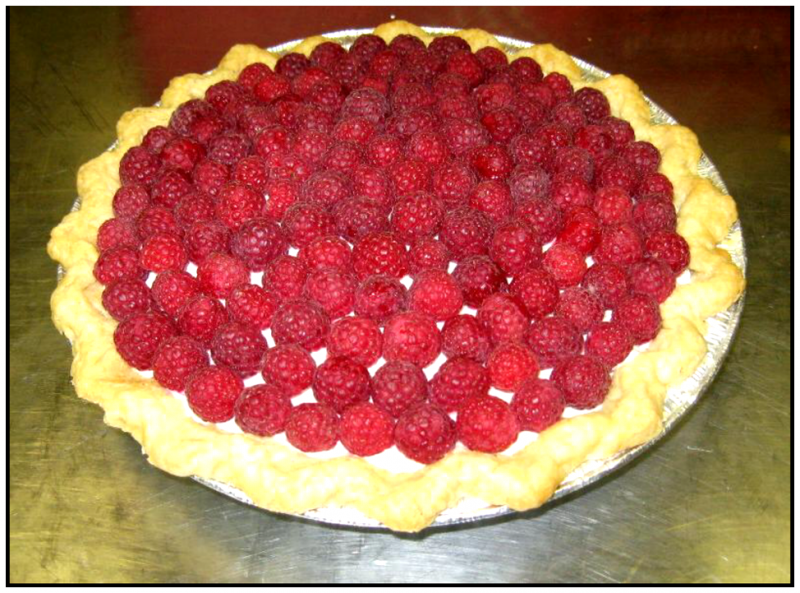 Made with local raspberries from Klug Farm, a slice of homemade pie from Prairie Grass Cafe is a tasty way to help support Houston’s hurricane survivors. Fogo de Chão is helping out in a number of ways. On Monday, Sept. 4 (Labor Day), Fogo de Chão will donate $10 from every adult entrée purchased to the Houston Food Bank in support of the Hurricane Harvey relief effort. The goal is to raise more than $100,000 nationwide for the cause. Additionally, they’re offering all first responders (police, fire, military, etc.) a free lunch or dinner at our restaurants in both Houston (8250 Westheimer Rd.) and The Woodlands (1900 Hughes Landing Blvd. Suite 400) now through (at least) Sept. 15. Be sure to only donate new, unopened items. All items will be collected and delivered to a leading relief agency in each market, including the American Red Cross, the Salvation Army and Trusted World. Houston-based Salata has experienced the horrific flood damage from Hurricane Harvey firsthand. Fortunately, 24 of its 33 Houston-area locations have re-opened. And in appreciation for the heroic work being done by Houston’s finest, those 24 Salata locations will be feeding first responders in uniform for *FREE through Monday, Sept. 4. (*while supplies last). These Houston-area locations will be open from 11 a.m. to 5 p.m. while they work to get back up and running. For a listing of all the Salata restaurants that will be feeding first responders for free, click here. The Little Caesars Love Kitchen, top photo, a big-rig pizza kitchen on wheels, is on the road to the hurricane Harvey disaster area to feed victims and first responders affected by the storm and flooding. The truck has traveled throughout the country for almost 30 years providing hot meals to more than three million homeless, hungry and displaced families. The Love Kitchen’s first stop will be in San Antonio, Texas at the Freeman Coliseum, where Little Caesars franchisees and volunteers will serve pizza to up to 1,200 first responders on Saturday, Sept. 2. Servings at this location will continue until at least Monday, Sept. 4. After serving first responders in San Antonio, the Love Kitchen will coordinate with other relief organizations to determine the best locations for the unit, maintaining continued and consistent support for the residents affected by Hurricane Harvey. Little Caesars franchisees are supporting efforts by supplying staff and services from their stores to man the truck, as well monetary donations to support the operation of the Love Kitchen. The Love Kitchen got its start 1985. Since then, more than 3 million people have been served, with 151,415 in 2016 alone. The program has supported past events such as Hurricane Katrina, Rita and Sandy, the 2001 World Trade Center Attack, and recently, the wildfires in Gatlinburg, Tenn. All this work is accomplished with the support of Little Caesars franchisees who have volunteered their time in local communities. Buffalo Wild Wings, Inc. embarrked upon a nationwide fundraising initiative to support ongoing Hurricane Harvey relief efforts. From Sunday, Sept. 3 through Sunday, Sept. 17, participating Buffalo Wild Wings locations will match in-restaurant donations received from Guests, up to $100,000. Buffalo Wild Wings restaurants will participate with a goal of donating more than $200,000 to the American Red Cross®. Texas-based Hardie’s Fresh Foodsemployees took to the streets of Houston this week to support fellow Texans who had to evacuate as a result of Hurricane Harvey. They were among the first to respond by providing three truckloads of food to the American Red Cross for evacuees at the George R. Brown Convention Center, local hospitals, hotels, and to first-responders – many of whom were personally impacted by flooding. 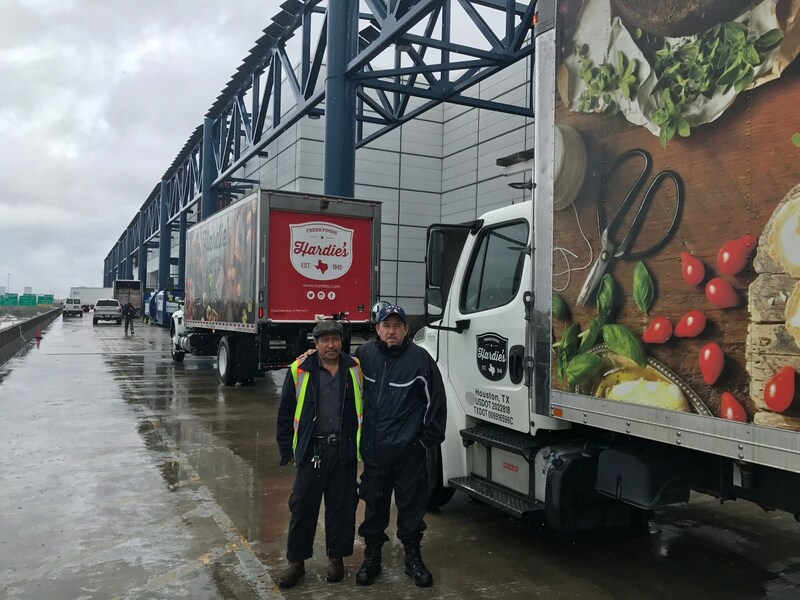 Hardie’s Fresh Foods employees Juan Montano and Jorge Blanco are among the 29 employees who packed and drove fresh food to Houston, TX to support victims of Hurricane Harvey. “We’re humbled to serve people impacted by these storms and full of pride for our team and others throughout the state who braved the roads to get to the Hardie’s warehouse, hospitals, and major hotels to help wherever was needed,” said Brian Preiss, General Manager at Hardie’s Fresh Foods,Houston. Dallas-based Hardie’s Fresh Foods employees also stepped in to support their fellow Texans by driving truckloads of fresh food down to the Houston area. Donation boxes in all of their locations continue to fill quickly, and is an example of the heart of people all over the state and across the country who are ready to lend a helping hand during this devastating time. Studio Movie Grill started a fundraising campaign for disaster relief to help neighbors and communities and support the American Red Cross Hurricane Harvey Disaster Relief Efforts. Studio Movie Grill will be donating 10 percent of all proceeds (food, beverage and tickets) from purchases made at all Texas locations Thursday, Sept. 7 to support American Red Cross Hurricane Harvey Disaster Relief. 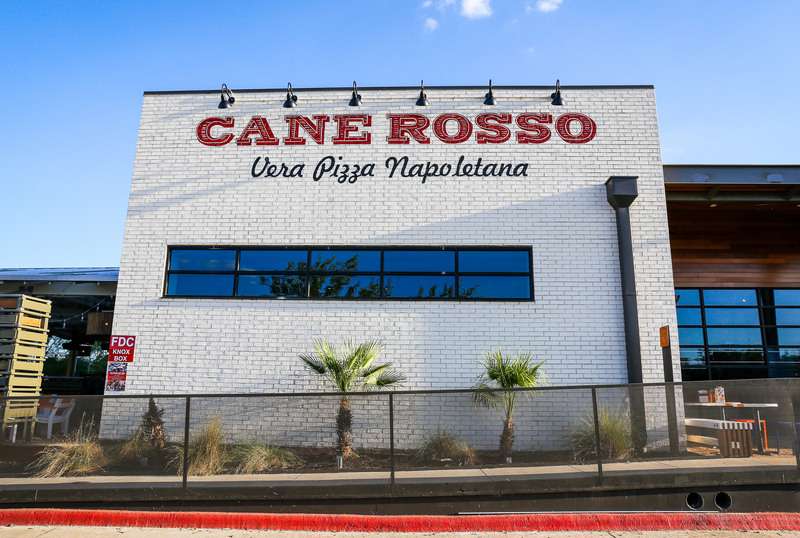 Cane Rosso, the Texas-based group of authentic Neapolitan-style pizzerias, hosted a fundraising night to aid flood victims in Houston at its Deep Ellum location. The restaurant will donate 100 percent of the proceeds to local Houston organizations supporting flood relief efforts. Cane Rosso has two locations in Houston, in the Heights and in Montrose, both of which remain closed until the situation is further assessed. In addition, Cane Rosso is raffling off an exclusive “Year of Pizza” VIP card to benefit Hurricane Harvey relief efforts. The card entitles the holder to one free pizza per week for an entire year ($780 value), at any Cane Rosso location in Texas. Limited tickets are available starting today, $50 each. For information, click here.